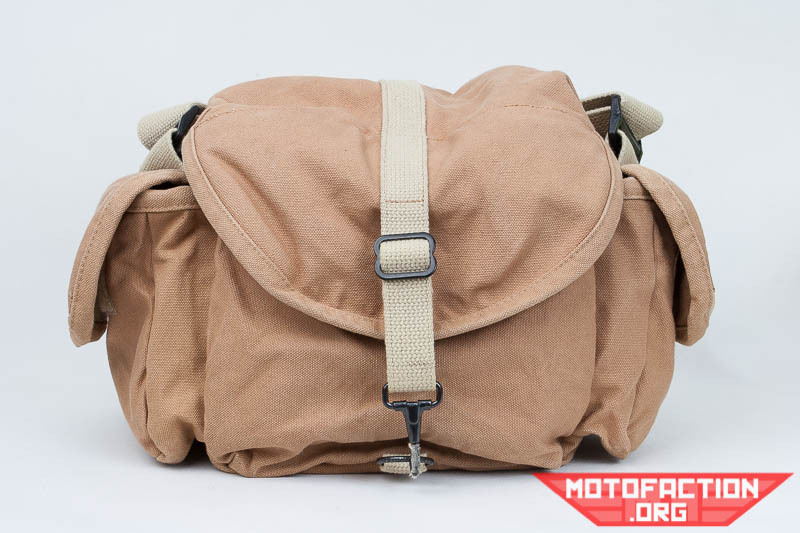 Looking for a discreet shoulder bag to store your camera gear in? The Domke F-3X may just fit the bill. Available at Amazon, eBay US, eBay AU, eBay UK, eBay CA and elsewhere - read on for our review! 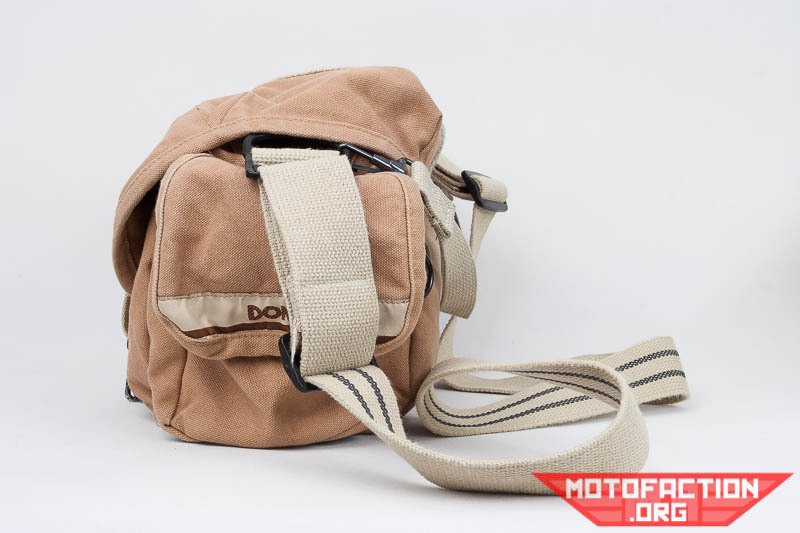 Firstly, a bit of background: This is a bag I bought with the intention of replacing my Domke F-803 once I bought a 1D as the 1D would not happily fit in a F-803 with lens attached. 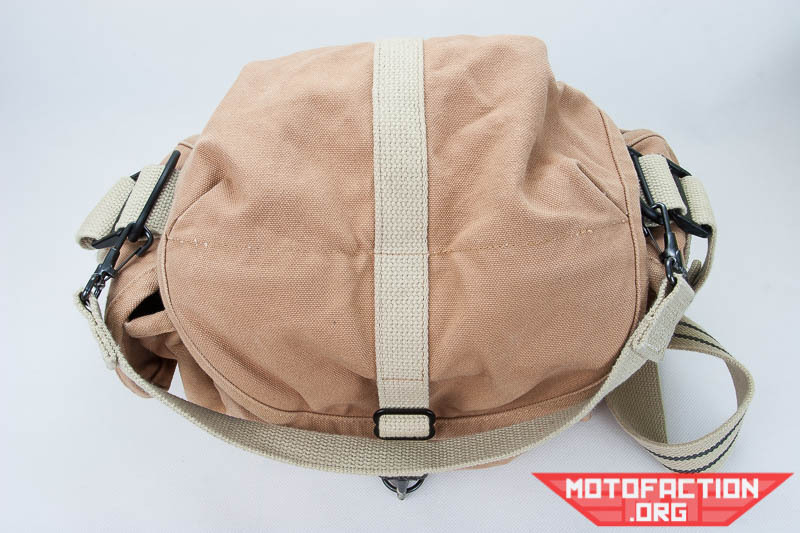 I like a relatively low-key bag for walking around urban areas, biking around town, covering gigs in pubs and just for casual usage. I wanted something which would hold a body with lens attached as well as a couple of other lenses and a flash + accessories. The Domke canvas is very hard-wearing and washes very easily - in the first week of owning this particular bag it got covered in pink paint at a gig. No worries - chucked it in the wash the next day and it looked good as new. The sand bags get a worn look very quickly that doesn't come out easily in the wash, though - I personally quite like the worn in look. I like my gear to get used. In the side view you can see the strap - featuring something that as I've seen is unique to Domke, namely rubber threads sewn into the webbing. Gives it just the right amount of grippiness so as to make it not slide around a great deal when you're walking irrespective of what you've got in it. 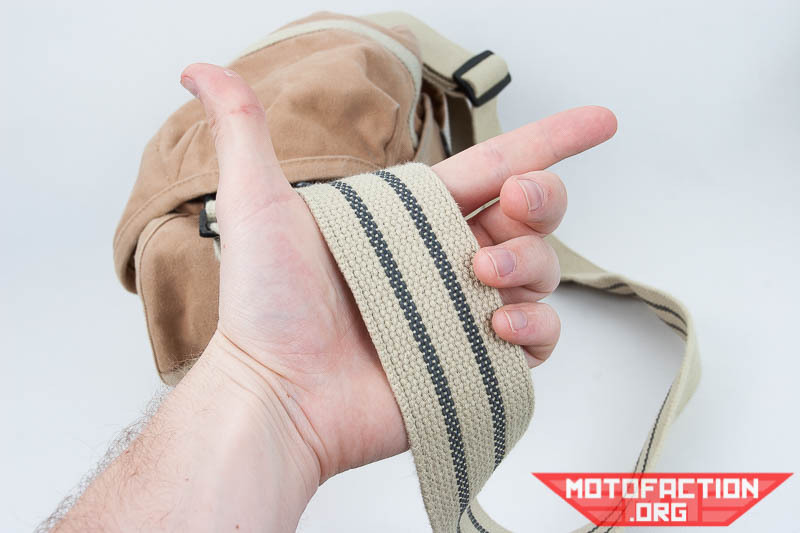 The Domke F-3x has a much broader strap than the F-803 which makes it quite a bit more comfortable to wear when heavily laden with gear - the strap is a shade under 5cm wide. The rubbish on this clasp is some gaffer tape I attached to stop it rattling as I walked. Works a treat. I accidentally left the gaffer tape on when the bag went through the wash and dryer, hence the slightly tatty look. The ring gets silvered quite a bit over time, though I can't imagine that being a big issue. 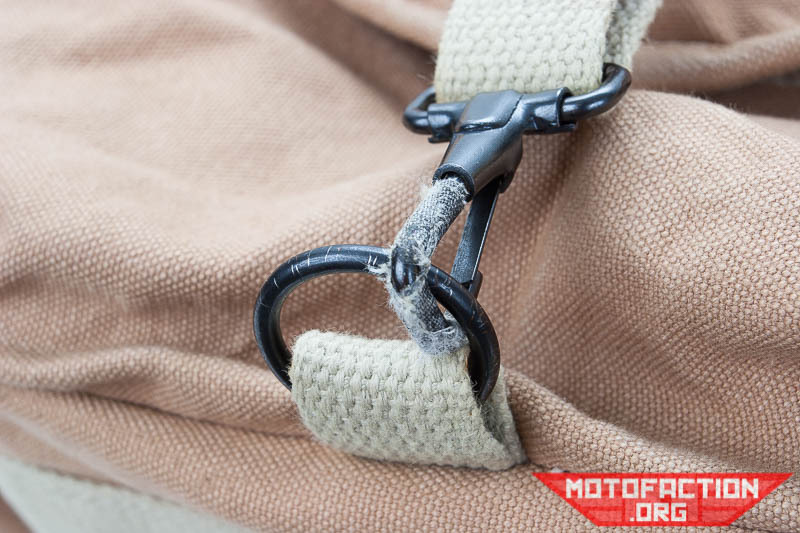 I personally find that these types of clasps are possible to operate one-handed with a little bit of practice - the actual technique is hard to describe but it involves having your thumb against the opposite side to that which opens, hooking your index finger against the underside of the opening part of the clasp, pulling the whole lot taut against the ring, pushing the clasp in using thumb and index finger then slide up and away from the ring. Works in less than a second. 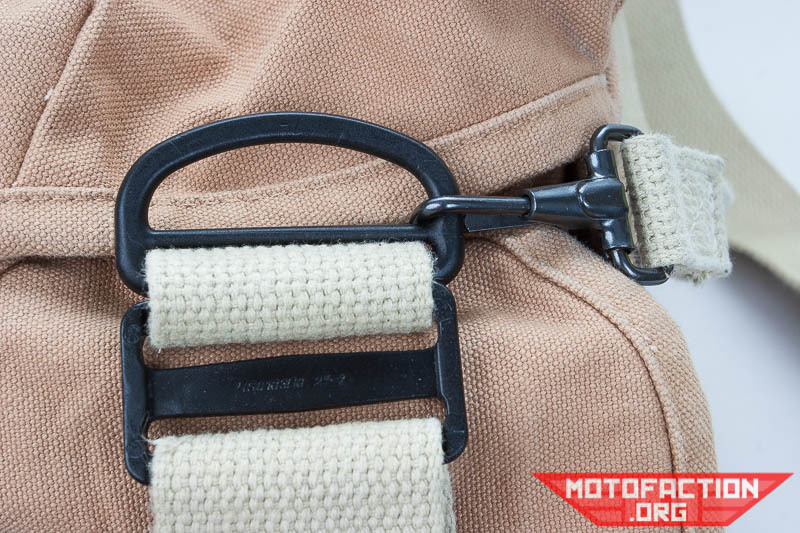 In the above photo you can see the handstrap attached, sitting over the front of the bag - the handstrap slides freely across the top of the shoulder strap connectors and can sit at the front or rear of the bag as desired. I don't find that it gets in the way and if you did you could just remove it. I quite like having a handstrap, though. Click through to the next page for a view of the inside.